I've wanted to read this all year, ever since I saw the gorgeous cover. The concept is also wicked original. It takes something familiar, reincarnation, and adds a kink, new souls, that makes it totally new again. There's definitely talk of romance, but it seems to focus on Ana's journey to discover the origin of her soul and to find her place in the world. The idea of destroying reincarnation is just another exciting tidbit. I want to possess this, hug it, and read it happily with some tea. 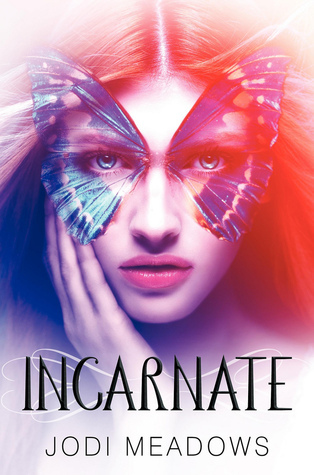 Incarnate's cover is so beautiful. I really wish this was in my bookstore. I also have this on my wishlist, the cover is too lovely to not own.